NERDS LIKE US is a community for nerd culture. We produce and sponsor nerd-centric events, we promote all sorts of nerd activities. We bring nerds together! 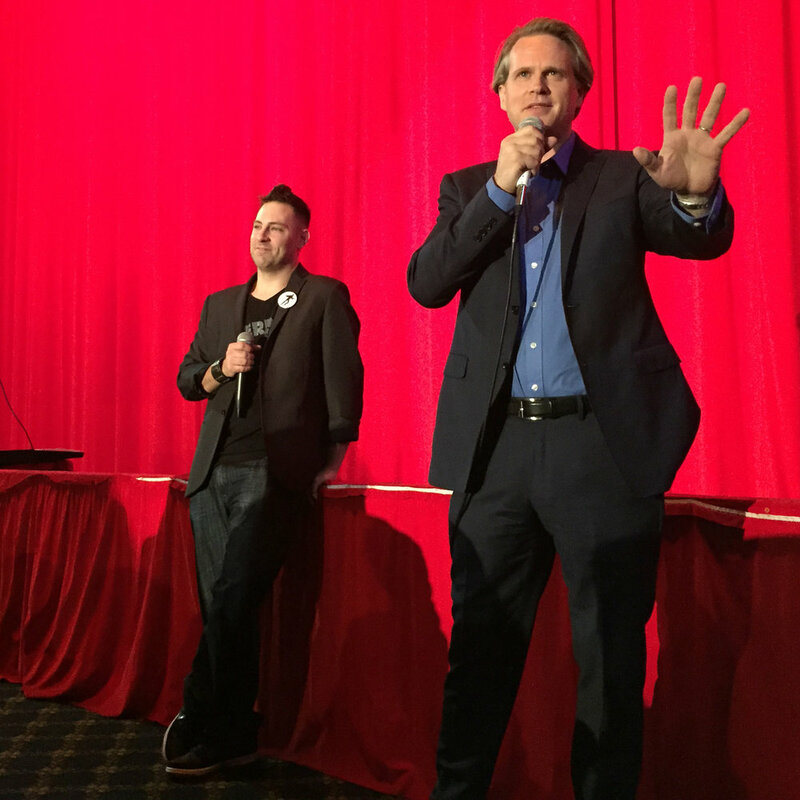 Nerds Like Us events began with a midnight-movie nostalgia series based out of The Vista Theatre in Hollywood. Bringing 80s and 90s nerd culture classics back to the big screen, infusing the nostalgia and enthusiasm of the cosplay phenomenon and creating community experiences that can often include star-cars, costume contests, prop displays, or stars from the film. If you don't have someone to go with you to the screening you'll meet dozens of new people who are just like you and have plenty of friends to go to the next one with! While Nerds Like Us has expanded to do a great many events, the midnight movie series is still a staple monthly event where fans can gather to celebrate their favorite films and fandoms with enthusiasm. The geek have inherited the earth! We dominate the box office, we dominate merchandising, we dominate popular culture – NOW WE WILL DOMINATE THE NIGHTLIFE! Everyone deserves to let loose and have a great time, but often environments aren't conducive to nerd-culture... CLUB COMIC CON is your answer! We will fight for your right to party! From the axis-of-awesome that is Stan Lee's Los Angeles Comic Con, Meltdown Comics, and Nerds Like Us comes the ultimate nerd nightlife experience! Enjoy an evening of top notch DJs, live performances, cosplay, creators, celebrities and more! Club Comic Con gives you the party that you want in the environment that is inclusive, encouraging, and friendly to all putting the fans first! The world's biggest, baddest nerd parties are here, but YOU are the secret sauce! Our incredible friends and fans make the night special so we invite you all to join us and make the night one that nobody will ever forget! With a history of special guest performances from amazing talent from stage, television, and cinema- you never want to miss a Club Comic Con because you never know who's going to show up! Everyone wants to be a part of the fun! We are for nerds, and by nerds, as legit as it comes- accept no substitute! Cosplay is an incredibly creative and passionate hobby that has become a worldwide phenomenon. It brings people together, it brings out people's inner passions and personalities. Cosplay allows you to be who or whatever you want to be, with no restrictions, rules, or guidelines. Be yourself and be free, and meet new friends in the process. Nerds Like Us stands for community and thus we support and promote many ventures related to the cosplay phenomenon as it's in-line with our core principles. Not all events are about cosplay, but cosplay will always be welcome at our events. We love and appreciate the work and sacrifice that goes in to those labors of love and we want to give you every opportunity to show the world what you can do! If you want an event to be thrown related to cosplay, NERDS LIKE US can help you build and put the proper polish on it to make it something the community can truly be proud of and want to be involved in! We're your one-stop fandom-event shop! Sign up to the Nerds Like Us mailing list to receive news and updates.